Molly is growing up without a father during World War II in America. Others in the series are: Molly Learns a Lesson (1986); Molly's Surprise (1986); Molly Saves the Day (1988); Happy Birthday, Molly! 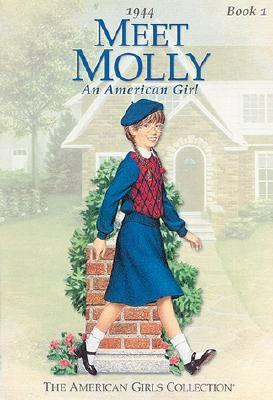 (1987); Changes for Molly (1988).Tripp, Valerie is the author of 'Meet Molly An American Girl' with ISBN 9780937295076 and ISBN 0937295078. Loading marketplace prices 99 copies from $0.01 How does the rental process work?